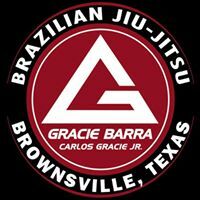 Gracie Barra Brownsville will be having special guest every day Starting Monday regular class schedules we will be having a different Black belts instructing class from Monday - Friday and on Saturday Professor Draculino showcasing some cool moves and as well we will have our Belt ceremony. After party at the Island. Stay tuned for more information and Special Guest Professors for the week. So Clear your Schedule for the 7 & 8th for its going to be an Awesome Week.